First things first, some history. 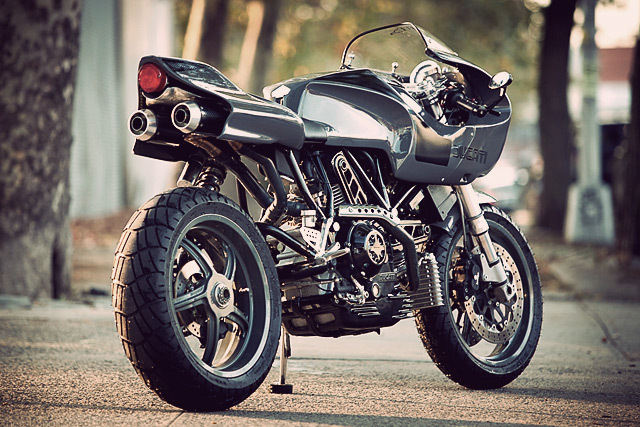 The original MH900E was a bike created by Terblanche in homage to Mike Hailwood’s 1978 win of the Isle of Man TT. 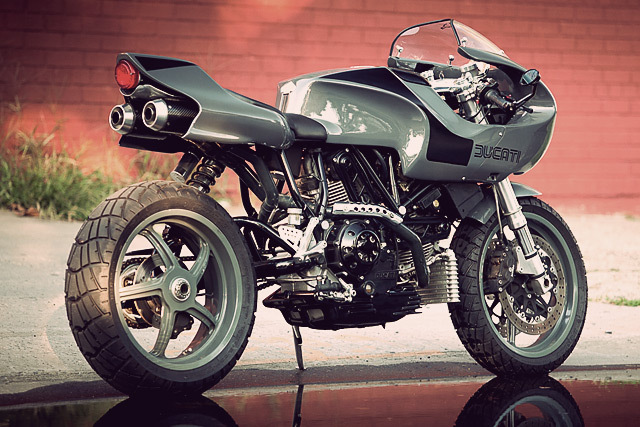 Between 2001 and 2002, the Bologna factory hand-made 2000 examples after grand plan to outsource the build to Bimota failed when the company bit the bullet. 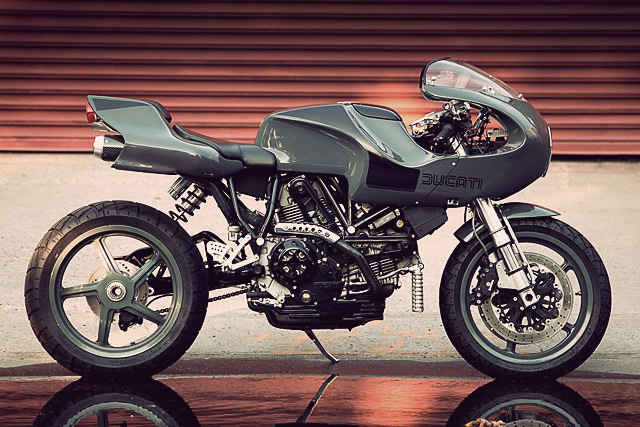 Those wondering about the bike’s rather spectacular tail design need only cast their minds back to the Ducati race bikes of the late 70s and early 80s; what you see here is Terblanche’s reinterpretation of the company’s now famous tall, square tailpieces. Ands while it may look like something taken from a Star War’s spares catalogue, it’s great to see a designer with the skill and cojones to pull off something that bold with such obvious success. 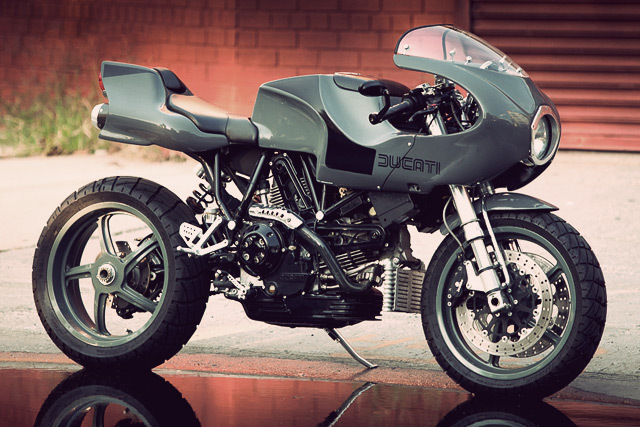 This 2001 Ducati MH900E – build number 1434 – was purchased by a friend of Angus Dykman, the owner of Brooklyn’s Northeast Sportscar. Obtained several years ago, it now has a reasonable 11,000 miles on it. Wanting to give it a personal touch and make it stand out from the crowd a little, the friend stripped it down and got to work. 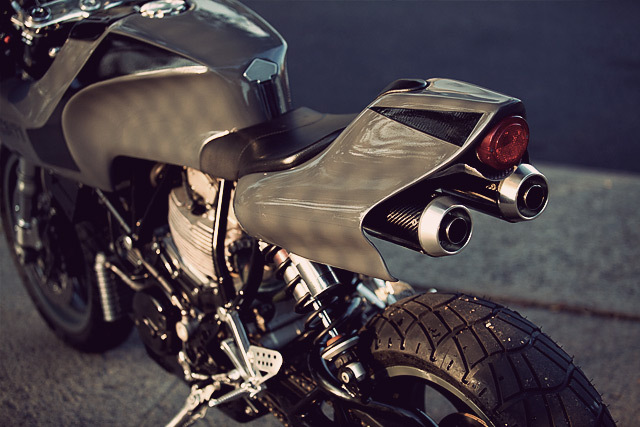 First, the frame was powder coated black and the bodywork was professionally painted in an immaculate battleship gray. Smitten with the colour, he then had the wheels powder coated to match. 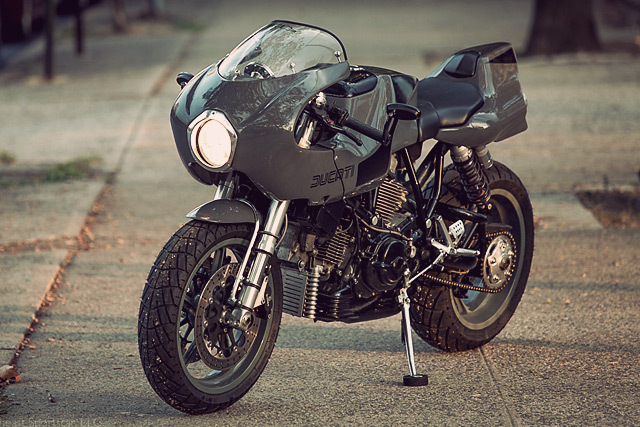 To clean up the overall look of the bike, he added LED turn signals, some Motogadget mirrors, and a Staintune carbon exhaust, which is a bit shorter than stock. And while the bold length of the original units did make a fine statement, we can’t help but think this new length seems to suit the overall look of the bike a little better. 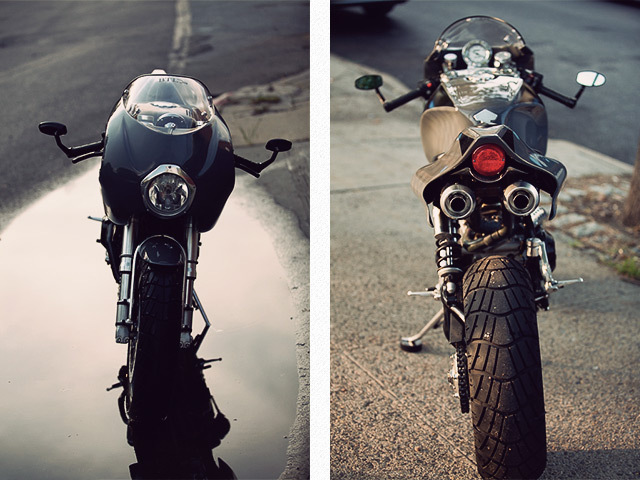 We were also amazed to learn that the bike’s speedo is not a custom unit. 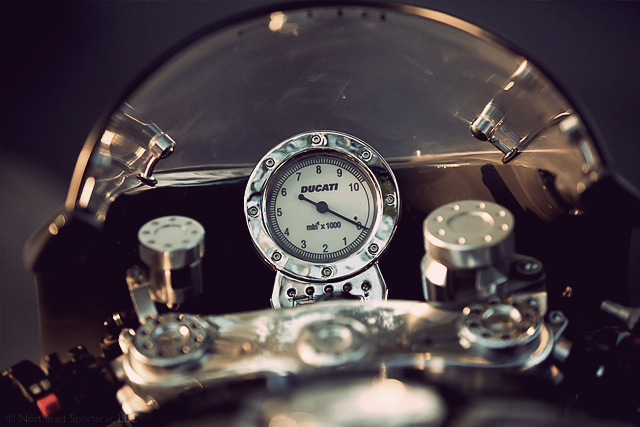 It and its polished bezel were actually included as stock items on the original bike. 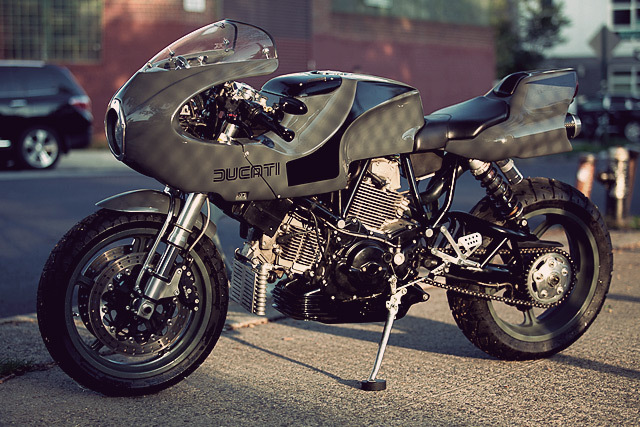 How’s that for a factory build taking a leaf out of the customiser’s handbook? We’d be more than a little proud if that was our handiwork.